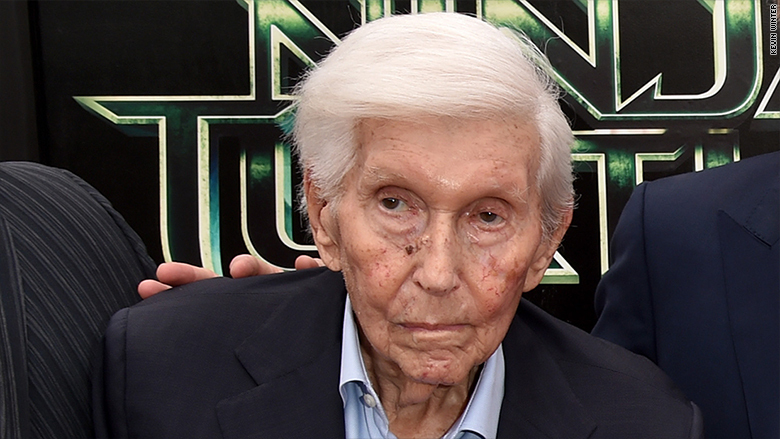 Sumner Redstone's granddaughter says she will take legal action against her aunt Shari Redstone and support Viacom's board of directors, providing yet another twist in the ongoing saga over Redstone's $40 billion media empire. Keryn Redstone said Wednesday that her aunt, the vice-chairwoman of Viacom (VIA) and CBS (CBS), had manipulated the media mogul in order to take control of his media empire. "Shari and her family have managed to totally isolate and effectively kidnap, brainwash, and take advantage of my grandfather due to his debilitated state of mind and frail health," Keryn said in a lengthy statement. "I do not intend to let Shari get away with this outrage," she said. "I will soon be announcing legal steps to join with the Viacom directors in our common cause to liberate my grandfather from Shari's clutches and protect my fellow trust beneficiaries and myself from her machinations." Keryn, 33, is the daughter of Sumner's estranged son Brent. She is also a close friend of Manuela Herzer, Sumner's longtime live-in girlfriend who was forced out of Sumner's home last year around the time that Shari re-emerged as a presence in her father's life. Keryn stood by Herzer's side when she filed a lawsuit claiming that the ailing media mogul lacked the mental competency to have Herzer removed. That case was dismissed. Now, Keryn is standing by Viacom CEO Philippe Dauman and the company's board in their effort to resist what they see as a hostile takeover by Shari Redstone. 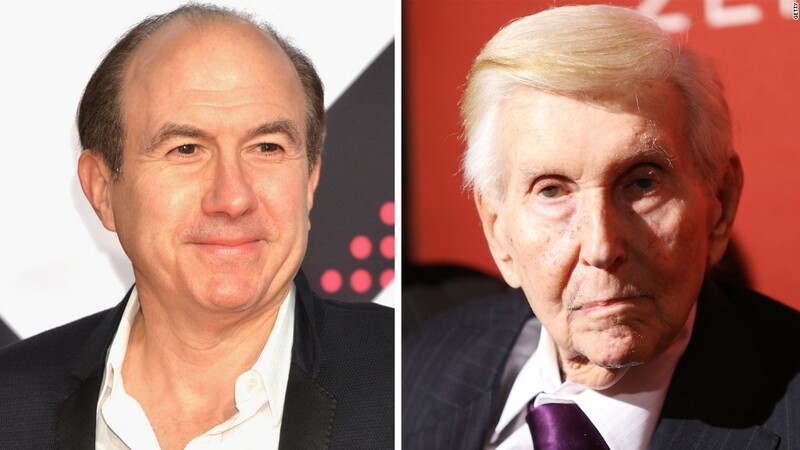 Dauman and George Abrams, another Viacom board member, believe that Shari was behind Sumner's recent decision to have them removed from the trust that will determine Viacom's future. In her statement, Keryn said that Shari had lied to Sumner "about Manuela Herzer, the loyalty of his long-time friends like Philippe Dauman and George Abrams, and me." While Keryn does not have a role in her grandfather's companies, her first-hand account of his deteriorating mental state and his relationship with Shari could help sway public opinion about the family's saga. Keryn says that starting last fall her grandfather, who is 93, could "barely communicate at all, and he was unable to appreciate and understand what was going on around him." Keryn also says that she witnessed Shari "yelling at him and treating him like a child. My grandfather sobbed uncontrollably, telling me over and over again, 'I miss Manuela.' It was unbearable to watch him suffer so needlessly." Related: Sumner Redstone's Viacom battle, how did it get this bad? Keryn's statement was released Wednesday by Pierce O'Donnell, the attorney who represented Herzer in her lawsuit earlier this year. The statement comes one day after Shari released her own statement rebutting accusations by the company's board that she was planning a takeover of her father's media company. "Shari has made it abundantly clear that she has no desire to manage Viacom nor chair its board and is fully engaged in running and growing her firm, Advancit Capital," a Redstone spokesperson said Tuesday.